The true-life account of the FBI’s hunt for the ingenious traitor Brian Regan—known as the Spy Who Couldn’t Spell. ...an excellent, highly engrossing account of the search for a man who was cunning, avaricious—and a dreadful speller ... Most of The Spy Who Couldn’t Spell is taken up with the FBI’s investigation into the packages and, eventually, into Regan’s treachery. It is a fascinating story, and it would be criminally mean-spirited of me to ruin it by disclosing any more particulars here. 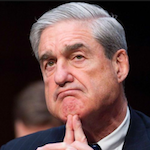 I will say only that, unlike in films and most spy novels, the human factor—personality traits—and serendipity played large roles in the case ... It is a pleasure to be in the hands of a writer who so skillfully weaves his assiduous research into polished prose. I have just two caveats. There is a fair amount of information in the book about coding and decoding, and I suspect that many readers will find the technicalities hard going. Second, Mr. Bhattacharjee did not interview Brian Regan ... Though it concentrates on the Regan affair, The Spy Who Couldn’t Spell presents an estimable, thoroughly enjoyable overview of espionage in the digital age. 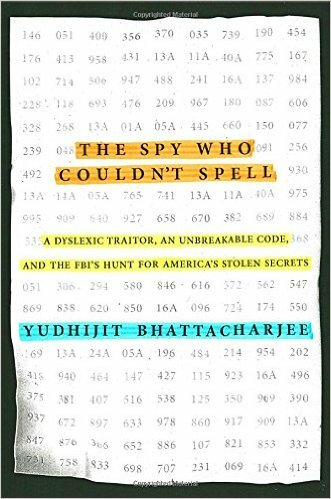 The collaring of Regan was the result of a long investigation spearheaded by FBI agent Steven Carr, comprehensively and thrillingly detailed by Yudhijit Bhattacharjee in The Spy Who Couldn’t Spell ... Bhattacharjee, a former staff writer for the journal Science, scrupulously re-creates Carr’s work in deciphering each code so that the reader can follow along. The result is a full appreciation for the guile, initiative and determination Carr employed to obtain a conviction and life sentence for a criminal who put countless American lives at risk. This fascinating incident from our nation’s history, and the lessons it provides, ought to be well-remembered, and The Spy Who Couldn’t Spell deserves to be widely read. ...[a] fast-paced, well-researched account of the case ... The cat-and-mouse game between Regan and Carr, which concludes with a showdown at Washington Dulles Airport, is the electrifying core of Bhattacharjee's book. They were polar opposites in some ways, kindred spirits in others, circling each other like hunter and prey. Bhattacharjee understands their minds — Regan's mercurial, cunning, prone both to innovation and overreach, Carr's methodical and a bit plodding, yet steadier, the tortoise who wins the race. What did you think of The Spy Who Couldn't Spell?